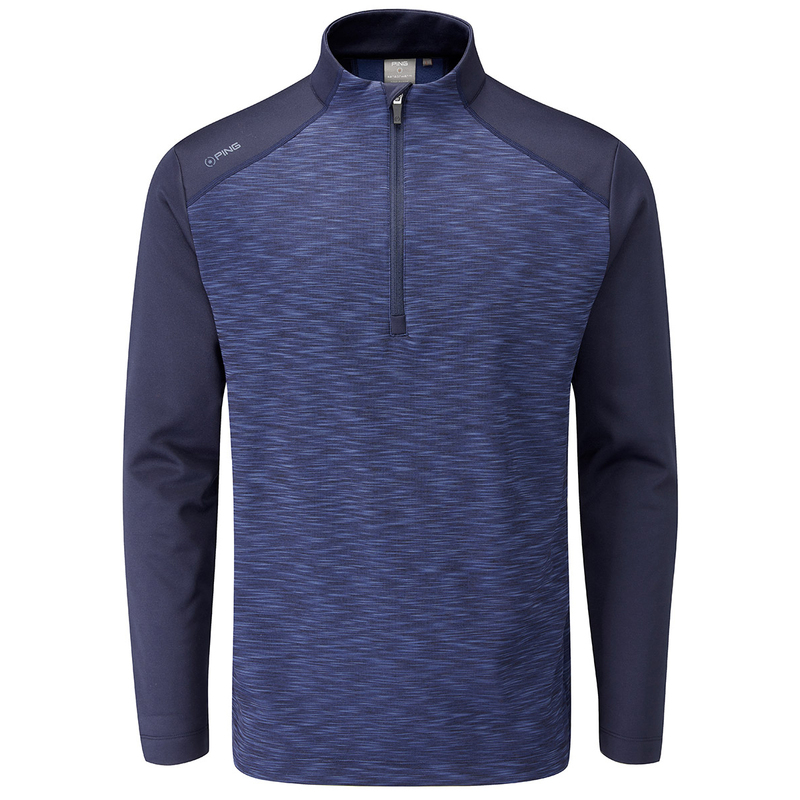 This heathered performance mid-layer garment has been engineered with a stretch fabric for total performance as you play golf. 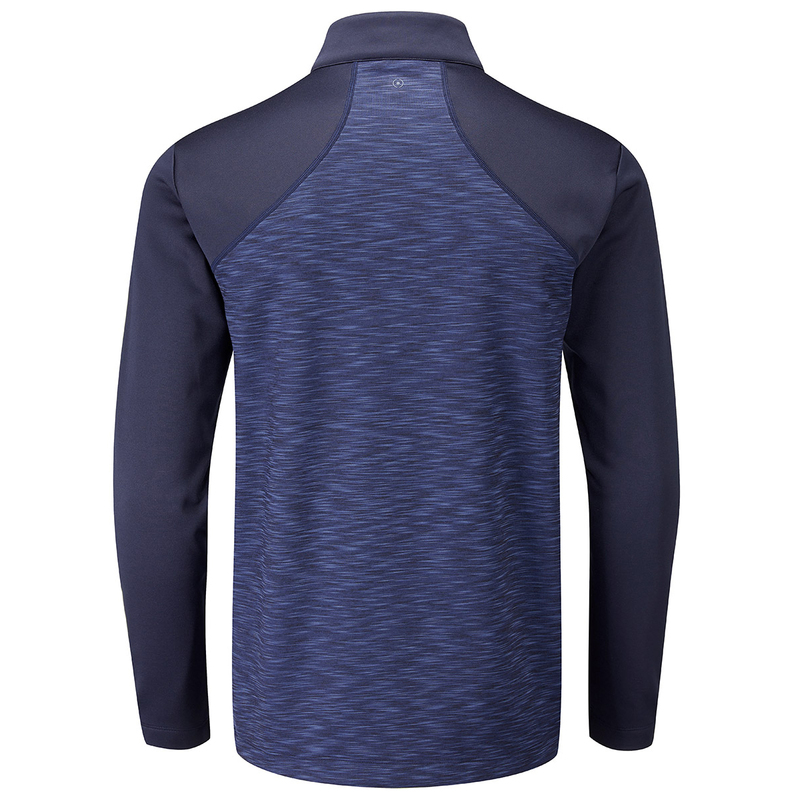 The layer offers thermal properties and has a brushed back material for extra warmth in cold course conditions. The design features a half-zip opening and has modern solid colour panels, and is water resistant for added protection.